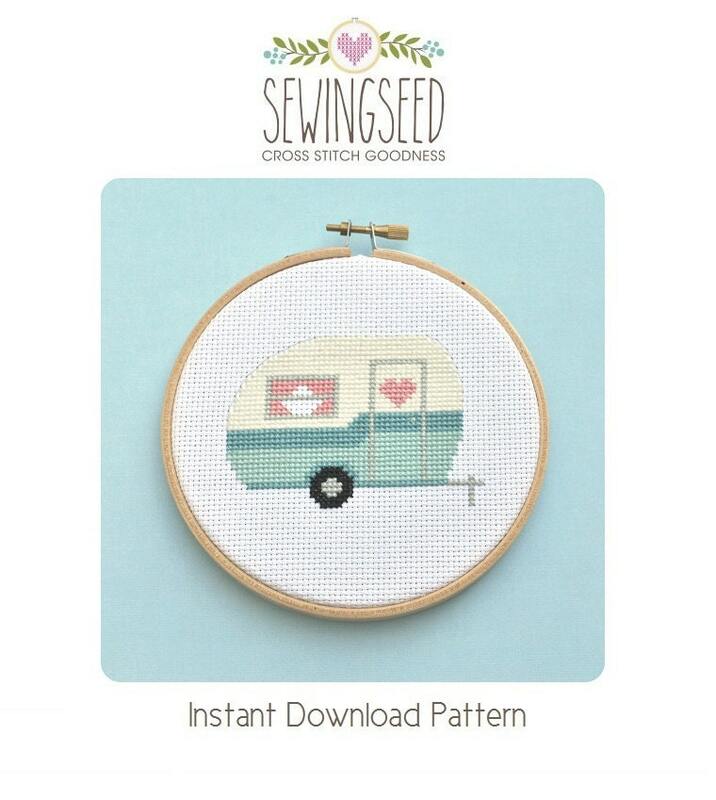 Retro Camper, Vintage Travel Trailer Cross Stitch Pattern for instant download via Etsy. A perfect DIY project for that travel junkie in your life! The pattern is formatted in retro colors of turquoise and cream, but you can stitch it in any colors you like. Easy to follow, can't wait to get started!